The cut is far to wide to cut straight and square with a saw. These rails are about 12″ wide at this point in the project. I was researching this issue on line, when I came across a thread on some woodworking forum. Then it hit me…duh. 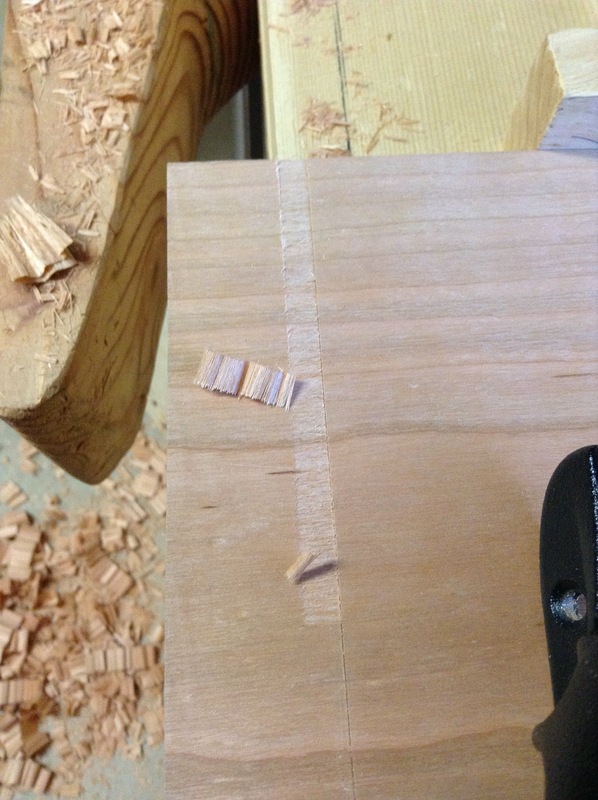 The best way to keep the cuts straight and square is to treat them like bread-board ends. 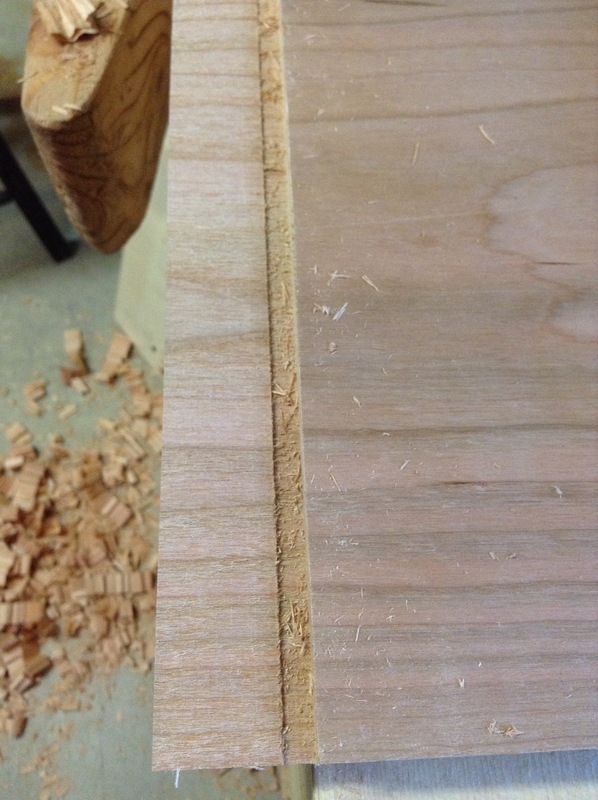 Basically, remove the waste down to the cut line to get your tenon thickness. Hence, replacing the tenon saw part of the operation with a plane. 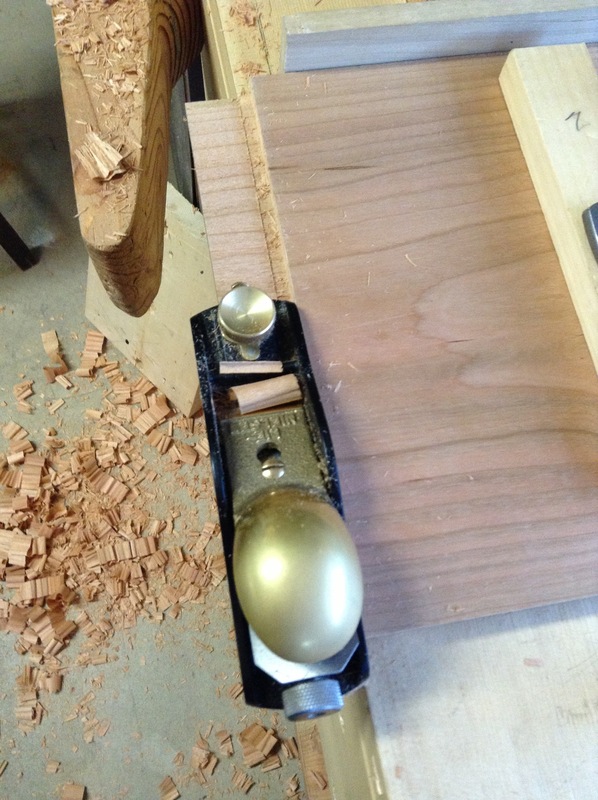 I don’t have a rebate plane…not yet anyways. Therefore, I had to start my cuts with my plow plane on my scribe line. Here you can see the result of the first few passes. I continued until I reached the desired depth. Then I removed the rest of the waste with a block plane. I checked for square and adjusted where needed. Then I showed the newly formed tenon to the stile and marked out the waste areas. 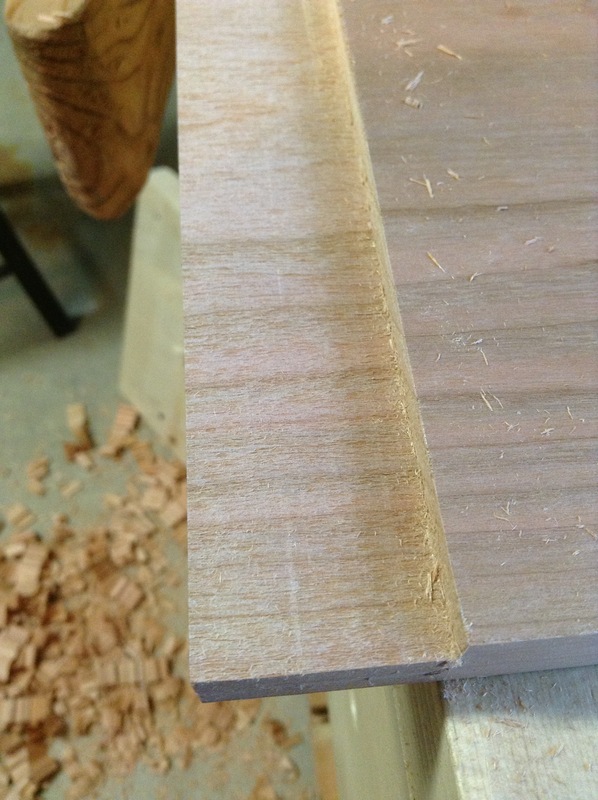 It was business as usual after that…removing the waste in between tenons, and shaving them until I was happy with the fit. This will be my plan of attack for future wide rails…hopefully next time will just be with a rebate plane. This entry was posted in Chiffonier, hand tools, VCF, woodworking and tagged block plane, hand tools, plow plane, tenon, woodworking by villagecustomfurniture. Bookmark the permalink.